Raimund Bleischwitz has joined UCL ISR as BHP Billiton Chair in Sustainable Global Resources in August 2013. He was previously Co-Director on ‘Material Flows and Resource Management’ at the Wuppertal Institute in Germany, and has been Visiting Professor at the College of Europe in Bruges, Belgium since 2003. An economist by training (PhD, ‚Habilitation’), he has more than twenty years experience in research on environmental and resource economics, resource efficiency, incentive systems and policies, raw material conflicts, industry and sustainability. 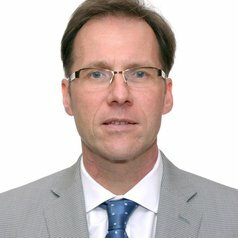 He is often invited as a speaker, acknowledged as an influential policy adviser and cooperates with business in projects such as the EU Eco-Innovation Observatory and the RECREATE research network for forward-looking activities and assessment of research and innovation prospects in the fields of climate, resources efficiency and raw materials, a five-year EU Coordination and Support Action project. Raimund spent a two-month fellowship at the American Institute for Contemporary German Studies (AICGS) at Johns Hopkins University Washington DC in Spring 2013 and one academic year at the Transatlantic Academy in Washington DC from September 2011 until July 2012. He was involved in the Millennium Collaborations Projects on climate, energy and eco-efficiency conducted by the Japanese Economic and Social Research Institute (ESRI) from 2000 – 2005, fellow of the Japanese Society for the Promotion of Science in 2005, and holds close relations with the Institute for Global Environmental Strategies (IGES) and other researchers and stakeholders in Japan. In the Nineties he was supporting Ernst Ulrich von Weizsaecker in establishing the Wuppertal Institute, inter alia as his permanent substitute in a National Committee on the Earth Summit preparations in 1992, and he was one of the lead authors of a report entitled „Sustainable Germany“. He also had earlier engagements at the Max Planck Project Group on Collective Goods in Bonn (where he did his Habilitation), at the Institute for European Environmental Policy (IEEP) and in the German Bundestag. Natural resources are back on the agenda. The global competition has led to strategic concerns due to the emergence of new powers such as China, India and Brazil, high commodity prices and vulnerability of supply. Germany, the EU, the USA and many others have formulated raw material strategies that put these concerns at its centre stage. At the same time, sustainability concerns are rising. The use of natural resources is increasingly thought of as a source of environmental pressures. Extraction, processing and each phase in a product's life entail substantial harm to the environment. Therefore, resource efficiency strategies are being formulated, most notably in the EU as one flagship project of the Horizon 2020 strategy. These developments underline the triple challenge of dealing with the economic, the socio-political, and the environmental dimensions of using resources. Quite often however real actors’ strategies focus on one of these dimensions. They are often either predominantly supply oriented (“raw materials strategy”) or demand oriented (“resource efficiency, “sustainable consumption and production”). Interests and aims tend to differ: while manufacturing companies have an interest to cut material purchasing costs and manage volatility, their interest in long-term sustainability strategies tends to be lower. Countries with rich endowments evidently have other interests compared to countries depending on the imports of commodities. Governing the global resource nexus, – the interactions among using energy, minerals, water, food, and land – is especially challenging. Therefore, potential benefits are as essential as trade-offs, risks and conflicts. My research underlines an integrative approach. It aims to show pathways towards maintaining the physical basis of society and economic activities in the long term, and develops methods for analysing, evaluating and managing material flows and resources. The vision is an economy that is embedded in natural material flows with minimal resource use ("Factor 4 to 10") and does not develop at the expense of other regions. •	Monitoring and assessing the Global Resource Nexus, i.e. the complex webs of connections existing between different resources, and the challenges and opportunities these pose on governance. I’ve done more than 200 publications, inter alia the books International Economics of Resource Efficiency. Eco-Innovation Policies for a Green Economy (Springer Publisher 2011), Sustainable Resource Management. Trends, Visions and Policies for Europe and the World (Greenleaf Publisher 2009), Sustainable Growth and Resource Productivity – Economic and Global Policy Issues (Greenleaf Publisher 2009), Corporate Governance of Sustainability: A Co-Evolutionary View on Resource Management (Edward Elgar Publisher 2007), Eco-Efficiency, Regulation, and Sustainable Business. Towards a Governance Structure for Sustainable Development (Edward Elgar Publisher 2004). Raimund has been teaching at the College of Europe, Dept. of European Economic Studies, since 2003, with courses on "Industry and Sustainability" and "The economics of the EU climate change strategy" and supervision of some 50 master theses. He was also teaching such courses at the University of Wuppertal, Schumpeter School of Business and Economics from 2005 until he joined UCL.